Happy Thanksgiving week! As you know, this week is Disability Week of Action and we at the American Association on Health & Disability are focusing on why we are #Thankful4Coverage and #Thankful4Medicaid. We wanted to share some more materials and resources to use this week and thank you to Community Catalyst and Young Invincibles for creating some great new images and graphics! Please let us know if you have any questions about messaging this week or outreach! Without health coverage, people often forgo regular doctor’s appointments, don’t take necessary prescription medication, and delay care, resulting in emergency room visits and inpatient hospital stays that are expensive and often avoidable. People who were uninsured in 2013 and gained either marketplace or Medicaid coverage in 2014 were more likely than their counterparts who remained uninsured to report having a usual source of care, receiving an annual checkup, and getting a blood pressure screening. The ACA has improved access to health care services for those who gained coverage through its coverage expansions. Research focusing on the first two years of the ACA’s Medicaid expansion found improvements in various measures of access to care, including affording needed follow-up care, having a personal doctor, and having access to medications. Nearly 1 in 5 Americans are covered by Medicaid and 1 out of 3 children receive coverage through Medicaid or CHIP. The research shows that the employment rate for individuals with disabilities who were living in expansion states increased from 41.3% in 2013 right before the Medicaid expansion to 47% in 2017. Unemployment rates also dropped from 32% in 2013 to 27% in 2017. 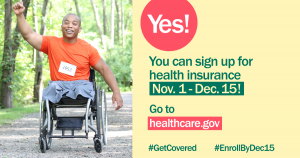 The Health Insurance Marketplace offers an excellent opportunity for people with all disabilities who either have gone without coverage or have had limited access to needed health care benefits to obtain health insurance in the individual market. 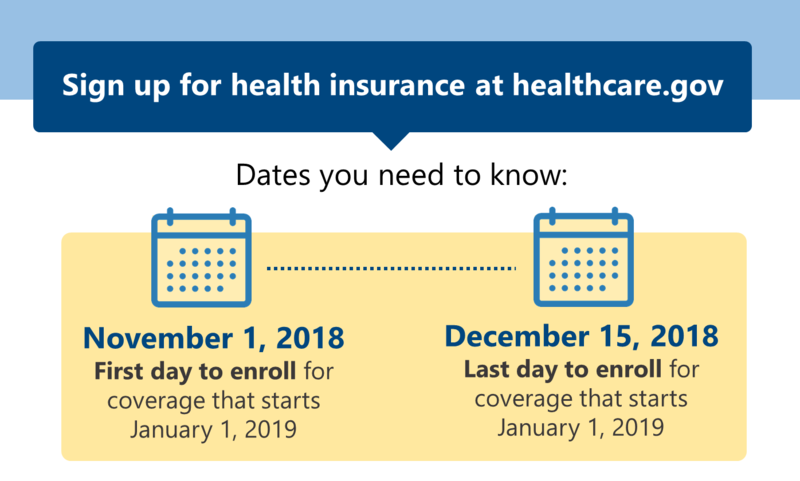 The Health Insurance Marketplace affords an opportunity for some people who have costly individual coverage to lower the cost of their health insurance and/or obtain adequate coverage for the services, medications, or equipment they require by switching policies. The Marketplace offers some people with disabilities the opportunity to determine their eligibility for Medicaid under both existing and new expansion rules and for other federal or state health care benefits such as the Children’s Health Insurance Program (CHIP). Check out the National Disability Navigator Resource Collaborative (NDNRC) Medicaid Social Media Toolkit below to see sample tweets and Facebook posts about Medicaid. Financial help is available to make the coverage more affordable. 85 percent of current enrollees receive financial assistance. 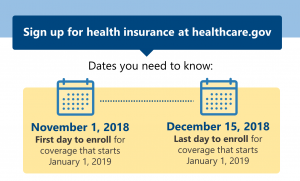 New regulations this year make it easier for insurance companies to sell plans that do not have all the consumer protections provided by the ACA. 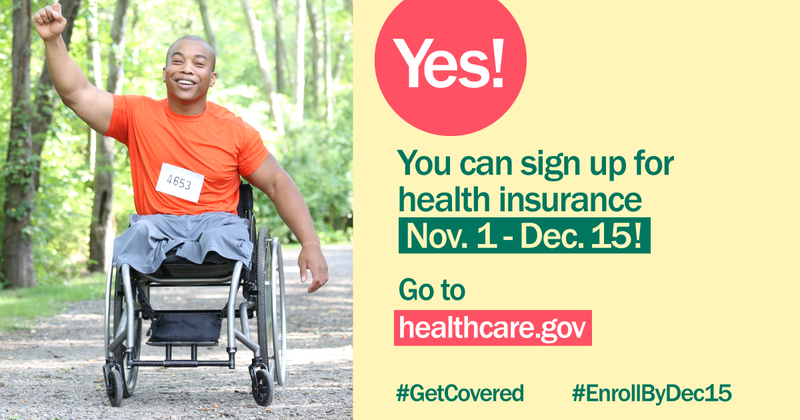 To make sure you are buying an ACA compliant plan, purchase a plan through healthcare.gov. A red flag for an insurance company that is selling a non-compliant plan is if the application is asking questions about health status, prior conditions or family medical history. 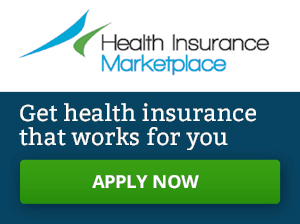 At healthcare.gov, consumers will immediately see the type of coverage for which they qualify. This year, it’s easier than ever to shop on mobile devices.